Botox Is A Product Of The Mind That Creates Both Jobs In A Small Town And Feelings Of Beauty In Los Angeles. “Whether you’re in Hollywood or acting in London’s West End, your Botox is 100 percent guaranteed Irish.” Those are the words of Westport (Ireland) resident Simon Wall, as told to Allure magazine reporter Jenny Bailly. For Allure’s December edition, Bailly wrote a fascinating article about Botox, its origins, its global usage, how it’s meticulously produced to prevent the death of millions…What Bailly perhaps didn’t know is that an article almost certainly written to appeal to Allure’s beauty-focused readers could also double as an economics lesson. Life instructs, and in this case beautifying chemicals do too. On the other hand, barriers to trade render the world brutally large. If taxes on exchange are too onerous, work’s sole purpose (to import) is deprived of substantial meaning. As opposed to the world’s plenty reaching us as though it was produced next door, life’s necessities and luxuries become harder and harder to attain. In a Botox sense, some would say the inability to trade without governments taxing the exchange causes us to be uglier. The factory in which Botox is produced in Westport employs roughly 1,200. This is notable from a trade perspective when we remember that what’s created at Allergan’s plant “travels to 96 countries around the world.” Think about that for a minute, and then think about this odd focus on “trade deficits” among politicians. Applied to Botox, well-to-do people spanning the globe run a “trade deficit” with Allergan’s Westport plant and its 1,200 workers, but few would presume that these unassuming workers are “ripping off” a global customer base that includes models, movie stars, millionaires and billionaires. The beauty business is lucrative and global, and a not insignificant portion of the money the world spends is on a product produced in a town most have never heard of. The fact that Westport’s #1 export is utilized in so many countries exists as loud evidence that Allergan’s plant in a distant coastal town has met the needs of millions in a truly grand way. So if imports are a sign of consumers being “ripped off” as some naively believe, we need to be ripped off much more often. It’s all a useful reminder that “trade deficits” are the reward for hard work, and the imports that unearth naïve talk of “deficits” are yet another reminder that the fruits of work (what we import) are what improve us. Botox surely improves the appearance of its users if its global popularity is any kind of indicator. Interesting here is that Bailly notes a “highly mobile” quality to the foreheads in Westport; as in the town’s humble residents make Botox, as opposed to “importing” it. Assuming Botox sales continue to grow such that wealth in Westport grows, will the town’s top export become a top “import”? This will be an interesting development to see unfold. Needless to say, the citizens of towns that abut Westport plainly hope that genius of the Allergan variety finds its way to them in the way that it did to Westport. Bailly quotes Wall as saying that other than Westport, “People are leaving [Ireland’s small towns] to go to the big cities” such that some of Ireland’s smaller towns and cities “are pretty much shutting down.” This development raises a question about why Westport prospers amid struggles for towns nearby. The dynamic is a reminder that individual genius drives prosperity, not mineral wealth. Indeed, mentioned earlier was the careful way in which Botox is produced. Botox is a byproduct of botulinum neurotoxin type A, and not something that just anyone can fiddle with. Bailly cites an article published in the Journal of the American Medical Association which says that “a single gram of botulinum toxin in crystalline form, ‘evenly dispersed and inhaled, would kill more than 1 million people.’” This is potent stuff apparently, which explains why the manufacture of Botox is conducted with such detail-oriented, high security, no phones or tape recorders in the factory, care. It calls to mind the quote that begins this piece. Taking nothing away from oil’s discovery, and the wondrous impact of oil’s discovery on human progress, what gave crude its immense value were the minds who developed brilliant advances like the internal combustion engine. Oil is of the earth, and as such has always existed. Machines are a product of the mind. What’s true about oil and the engine is similarly true about botulinum neurotoxin A and a marketable innovation that emerged from it: Botox. Great minds produced the latter, and in the process created an industry while bringing life to a town neighbored by others not doing so well. Simply put, humans drive progress. It’s bad enough when governments put up barriers to physical goods and services in the form of tariffs, but it’s much worse when those same politicians erect barriers to the people without which there’s no advance. Botox didn’t bring opportunity to Westport, but people far away from Westport did. That people lifted a town that was arguably headed for obsolescence is the greatest economic lesson of all from Jenny Bailly’s article, and it’s hopefully one that politicians of all ideological stripes will take note of. To Maintain Economic Progress, We Need More Entrepreneurial Innovation. Each of us seeks economic progress, both individually and for society. Economic progress is different than economic growth, even though that’s what the government peddles. Economic growth is a quantitative concept, captured in government accounting as increased consumption. Economic progress is qualitative: a subjective feeling about the quality of life we lead and our anticipation for its future improvement. America’s new democratic socialists promise more social justice and a higher level of consumption for all. They think that more government intervention, more taxation, more redistribution and more control over business can achieve their goals. The opposite is the case. In order to provide both better living standards and economic progress, entrepreneurial innovation is required. Among other errors, the democratic socialists make the mistake of believing in a simplified productivity theory of capital: that accumulating savings and investment and a higher capital stock raises future investment yields, no matter whose hands they are in. But without entrepreneurs, capital is dead. It takes entrepreneurs to bring capital to life and keep it alive. Capital needs to be constantly renewed, to be put to innovative uses that improve lives and achieve the progress we all seek. Our pension savings will not ensure future wealth unless they get into the hands of the entrepreneur who – motivated by profits – can find new productive applications for them. Investing in stocks does not create more real capital. Most stock trades represent merely a rotation of ownership. It is true profit-generating entrepreneurial activity that creates future wealth and income. The future environment for entrepreneurial activity will determine whether savings are put to productive use, and the democratic socialists prefer to suppress, if not destroy, economic activity. Can we count on our large corporations to deliver the innovation that is needed for economic progress? There is certainly a case to be made that they are constantly testing and marketing new ideas, new devices, new services and new service extensions. Amazon, Google, Uber and Apple and Microsoft and the rest of them are lowering our transaction costs which is an improvement to our lives and represents economic progress. But there are many curses of bigness, and one of them is an inevitable slowing down of innovation. Bigness tends to lead to defensiveness in the protection of high market shares; corporations become reluctant to innovate with the risk-taking bravado that took them to prominence in the first place, because they begin to fear the destabilization of their own marketplace. M&A is one way to protect high-share and quasi-monopolistic market positions, and is often defensive in style: bring the innovators in house and control them rather than let them disrupt from outside. And if a company’s large scale was built partially or completely with debt borrowed to make acquisitions (as if often the case with private equity funded firms), then innovation will tend to be even more suppressed, because free cash is diverted from investment in R&D to debt service. Worse, it is often the case that our large corporations get closer and closer to government, making a deal to accept greater supervision (it keeps bureaucrats in long term jobs) in return for regulation that makes it harder for upstart innovators to enter protected markets. Tim Wu, a Columbia law professor who wrote a book called The Curse of Bigness, explains one way in which this sidling up to governments works for big corporations. Let’s say a large corporation wants to make a defensive acquisition to acquire a competitor. They submit the proposal for merger review by the government. The government, in turn, issues a consent decree, which means that permission to make the acquisition is given, with conditions. It is the administration of the conditions of the consent decree that keeps bureaucrats in a job for years, perhaps decades to come. The acquiring company meets the goal of its merger, and the government gets to write more administrative law and to load up the pubic payroll with more bureaucrats. Here’s what Wu said in an interview with ProMarket. Overall, I think consent decrees appeal to academic economists, but they have a bad track record. One problem with consent decrees is that you have the most talented attorneys and economists negotiating these on the government side, but once they’re done, they’re given to an enforcement bureau which is typically not heavily staffed. And sometimes it can be forgotten, and certainly not enforced with any kind of vigor. Structural separation is self-executing. The blocking of mergers is self-executing. You don’t have to have the government constantly trying to make sure the thing is working. I think Europe has really gone down the wrong path in that direction. Capitalism is a dynamic system, alway changing, always adapting, always innovating. That’s because consumers are always changing, always demanding better lives, and insisting on economic progress. Socialism certainly can’t deliver what consumers want, and big companies have a tendency to become defensive in the face of consumers’ unrelenting insistence on improvement. It is the entrepreneur who imagines the better future that consumers wish for, and, in the pursuit of profit, finds a way to deliver it by refreshing capital and putting it to new uses. No other system has this capability. For more like this, see Why Capital Needs Entrepreneurs at mises.org, which was a source for some of this article. This week, top-tier business executives and global leaders will gather at the World Economic Forum’s annual meeting in Davos to discuss globalization and the world’s most pressing problems. One of the issues bound to be discussed is global poverty, and how to finally eradicate it. 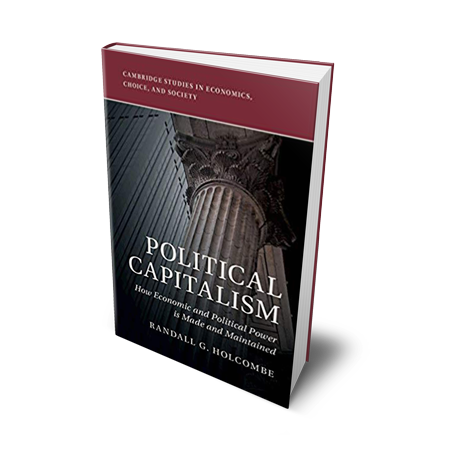 To best understand how to do so, leaders should study the history of how the U.S. transitioned from poverty to prosperity. Imagine a country where the average life expectancy is just 45 years old, infant mortality is at a staggering 200 deaths per 1,000 births, and fewer than 5% of people have access to electricity. In this country, the average person spends more than half of their income on food. There’s little help from the government, and corruption is rife at all levels—from local to federal; cronyism, not merit, determines most civil service jobs. What impoverished country would you guess this is? It’s the United States of America—in the 19th century. By almost any measure, the U.S. in the 1850s was more impoverished than present-day Angola, Mongolia, or Sri Lanka. Infant mortality was roughly three times worse than sub-Saharan Africa’s infant mortality rate in 2017. American society then, with a lack of stable institutions and infrastructures, looked nothing like it does today. But that is exactly why the story of America offers hope to poor nations everywhere. Despite being impoverished, unregulated, and poorly infrastructured, the U.S. became fertile territory for scores of market-creating innovations. These innovations transformed complicated and expensive products into simple and affordable ones so that more people in society could access them. Additionally, the creation of a new market brought about new jobs, profits, and a change in the culture of a region. Take, for example, the story of Isaac Merritt Singer. Singer may not be the most famous American innovator but he had a significant impact on American prosperity through his mission to make the sewing machine accessible to everyone. 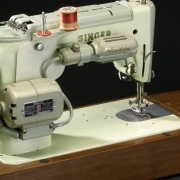 With mechanical improvements that made the machine simpler, less expensive, and more reliable, Singer’s sewing machine reduced the average time it took to stitch a shirt from about 14 hours to just one. Together with his partner Edward Clarke, Singer not only innovated a product, he developed a business model to ensure the company could survive in a challenging business and legal environment. These innovations included creating branch offices, sending out door-to-door sales and service staff, offering lessons to customers on how to use the product, and extending credit to cash-strapped customers. As a result, sales boomed. In 1873, demand was so high that Singer had to build the U.S.’s largest sewing machine factory, with a manufacturing capacity of 7,000 units per week. The market for sewing machines created markets for a host of other products and industries, including affordable clothing, department stores, and raw materials such as steel, wood, and cotton. With this came jobs, profits, and tax revenues that helped fund much of America’s infrastructure and institutions such as the establishment of the first patent pool and the building of railroadsthat transported the sewing machines. Singer’s market-creating innovation was just the tip of the iceberg. Generations of American entrepreneurs succeeded, against staggering odds, by pioneering other market-creating innovations. For instance, Henry Ford—who made the car more affordable so that many more people in America could own one—had more to do with the success of America’s road infrastructure than the U.S. government at the time. As Ford’s Model T streamlined the car manufacturing process and made it more cost-effective, millions of Americans purchased the car. This, in turn, created a stable source of tax revenue (in the form of sales, gas, and tire taxes) for the government. These revenues further helped develop America’s transportation infrastructure and institutions. The pattern for breaking out of poverty through innovation is clear. First, comes private investment in market-creating innovations, then public investment in infrastructure and institutions that help a nation become prosperous. Japan and South Korea have followed this path, with economic transformation fueled by their own cultures of market-creating innovations. In the aftermath of their devastating wars, the thought of revitalizing each of those economies seemed almost impossible. Yet within mere decades, Japan and South Korea transformed from impoverished economies to global powerhouses, built largely on companies that created successful market-creating innovations, such as Japan’s Sony and Toyota, and South Korea’s Samsung and Kia. Today, when we see impoverished countries around the world struggling to prosper, we tend to focus on sending more and more dollars in aid. But history has shown us a powerful path out of poverty: market-creating innovation. Clayton M. Christensen is the Kim B. Clark professor of business administration at Harvard Business School. Efosa Ojomo leads the global prosperity research at the Clayton Christensen Institute for Disruptive Innovation. Karen Dillon is a former editor of Harvard Business Review and a senior researcher on global prosperity at the Clayton Christensen Institute for Disruptive Innovation. According to the Wall Street Journal, Altria, maker of Marlboro and other cigarettes, is planning to invest in Juul, maker of a cigarette alternative which vaporizes nicotine-containing liquids. These devices are often called “vapes” and the practice of using them, “vaping”. A company dedicated to addicting people to smoking burning tobacco is now adding to its portfolio a company dedicated to terminating that addiction. At the same time, Altria has made a $1.3 billion investment in Canadian cannabis company Cronos Group, Inc. It will all make for interesting portfolio management. However, for entrepreneurs, the most important aspect of the investment combination of Juul and Marlboro is what it tells us about innovation and who is capable of delivering it. Altria has been aware for a long time of the evidence that the long term future of the cigarette market is threatened by external trends, including the subjective lifestyle preferences of consumers (and the non-consumers who dislike the “second hand smoke” problem), but also including regulation, taxation and the resultant deterioration in the price-value proposition. Faced with such negative long term trend signals, the good and wise corporation, prompted by the business school community that has populated the executive ranks in addition to marketing its tools through consulting, seminars and books, initiated an internal innovation process. This produced the idea of so called e-cigarette products, like MarkTen and Green Smoke, devices in which tobacco is heated but not burned, which purportedly makes smoking less risky. The process also produced a device called iQOS, developed in partnership with Philip Morris International, which is a sister company spun out of Altria to sell cigarettes in international countries outside of the glare of the US legal profession and its alliance with state and federal regulators. Philip Morris International took the lead in marketing iQOS and claimed some early success in Japan, so much so that the company diverted significant resources from conventional cigarettes to the heat-not-burn “breakthrough”. After initial growth, Motley Fool in October 2018 reported “disappointing earnings” at Philip Morris International attributable to a “significant slowdown in the e-cig’s primary market, Japan”. Motley Fool reported some early trial among a younger demographic, but “a wall of resistance among older cigarette smokers”. It looks as though Altria has seen the warning signs as an indication of failed corporate internal innovation, and has swerved to the alternate lane of acquisition of the innovative ideas of external independent entrepreneurs. Its investment of $12.8 billion for a 35% stake in Juul Labs Inc suggests a roughly $38 billion valuation, making Juul one of the most valuable private companies. 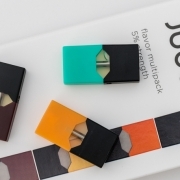 The Juul team has created this much value in about three years, while Altria and Philip Morris international were destroying value in their failed attempts at internal innovation. The Failure Of Centrally Planned Innovation Processes. They should have known. Corporate innovation processes are doomed to failure. That’s because innovation is not a process. It can’t be centrally planned by executive wing geniuses, no matter how much they spend on consulting and business school seminars. Innovations like Juul are emergent results of marketplace experimentation by entrepreneurs and consumers. The consumers become dissatisfied with the current set of offerings available to them – that particular phenomenon is strikingly apparent in the cigarette market. They begin to experiment with alternatives – they might try nicotine chewing gum, or patches, or snus (tobacco pouches placed in the mouth) or even iQOS. They are not yet declaring their loyalty to a new solution, but simply looking round at alternatives. Entrepreneurs are dissatisfied with the supply side of the market. They sense the consumer dissatisfaction and match it with their producer dissatisfaction. They, too, experiment. There have been many such producer experiments in the cigarette market, and Juul is the one that has, for the moment, risen to the top. Why? It’s usually random luck combined with a co-creation collaboration with the consumer – continuously adding and changing features and attributes and measuring consumer response until the best combination emerges. There are so many experiments among so many producers and so many consumers that one combination eventually emerges as the most preferred. The outcome can not be predicted, it can’t be modeled, and it can’t be managed. The genius of the market is that all of the failed experiments result in very small losses and a lot of learning. The one successful experiment eventually incorporates all the learning, attracts a large number of customers, creates a lot of value in a short period of time, and generates a huge amount of economic progress far in excess of the losses from the failures. The scale and reach of this experimentation, the rapid exchange of knowledge and learning in the network of entrepreneurs and consumers, the flexible adaptiveness that allows for the rapid abandonment of the resources committed to failed paths and the agile transfer of resources to the path of success, can not be matched by a centrally planned corporate innovation process. Decision-making in hierarchical structures can’t reproduce the emergent properties of interconnected knowledge-sharing networks. Processes with their stages and gates can not compete with the spontaneous order of free experimentation. Corporate investment guidelines can not compete with entrepreneurial risk-taking. The Future Of Innovation Lies With Interconnected Individuals. This does not mean that corporations will not try to suppress it rather than adopt it. Glaringly, in a follow-up report in the Wall Street Journal, we learned that one of the results of the Altria investment in Juul will be collaboration between the two companies’ regulatory teams. Speaking of cronying up to government regulators, the Altria CEO was quoted as saying, “We have years of experience” in such regulatory negotiating and another spokesperson spoke proudly of Altria’s possession of “a level of sophistication they (Juul) need”. This reveals a downside of capitalism. Altria has enough money to invest in Juul Labs, and enough left over to smother it in corporate process and bind it with regulatory collaboration. While there is no inherent objection to scale, it usually brings with it the insidious integration with government that is anathema to further economic progress. Not to worry; the independent entrepreneurial network will nurture new innovations through its experimentation and co-creation activities faster than incumbent corporations can capture the emergent value through M&A. Historians and sentimental baby boomers will often refer to the earlier days of commercial air travel as the “golden age” of aviation. For many, it represents a time when flying wasn’t just the most convenient means of getting somewhere, it was also a symbol of status and upward mobility. The “glamor” factor of commercial flight was once one of its great appeals to consumers. For those who could afford the luxury of air travel, the flight itself was just as important as reaching their final destination. Various airlines would compete for consumers by advertising gourmet in-flight meals prepared by reputable chefs and offering premiere smoking lounges with top shelf cocktails. And, since many frequent flyers were successful businessmen, airlines used attractive flight attendants to further enhance the thrill of commercial aviation. Wearing pajamas and other casual and comfortable clothing, as is customary in modern air travel, would have been completely unacceptable during the “golden age.” Highbrow men and women would don their Sunday best and children were sternly instructed to be on their best behavior. And yet, while this fashionable and privileged experience was one of utmost excitement for early airline passengers, it also came with its fair share of risks. While these earlier aircraft were immaculately decorated and usually filled with the most glamorous people, there were some definite downsides: death being one of them. Using the restroom during a flight is not something that comes with many risks when flying on planes today. However, during the mid-century, something as simple as getting up to use the lavatory could cost you your life. Since the interior of early aircraft was designed for aesthetic pleasure and not safety, a sudden patch of turbulence could cause a passenger to trip or fall and hit the sharp edges of lounge tables or chairs. A passenger could lose an eye, or worse. Additionally, turbulence, which is a common occurrence on any flight, was enough to cause fatal injury due to the aircraft’s inferior structure. Early airplanes had lower ceilings and poorly-made seatbelts. As a result, a drop in altitude due to turbulence was enough to easily snap a passenger’s neck. Since appearance was the primary consideration for these early aircraft, first-class passengers were separated from others by glass partitions rather than curtains. While these were aesthetically pleasing to the eye, it was not unknown for the glass to shatter and severely harm passengers in severe turbulence or in accidents, which were also more common in those days. In 1955, for a round-trip ticket from Chicago to Phoenix on the now-defunct TWA airline, you could expect to pay somewhere around $138. Adjusted for inflation, this amounts to almost $1,300. However, when accounting for the average mid-century salary, the cost to fly commercially was even higher. On average, a passenger flying during this time could expect to pay about five percent of their salary on round-trip ticket as opposed to the one percent Americans pay on average today. It may be hard to recognize how far commercial air travel has come when you are on a full flight sandwiched between a college basketball player and mother holding a screaming infant child, but like any commodity, commercial aviation still has considerable room to improve. And it could do so at a quicker pace if the government would stay out of the way. However, the Federal Aviation Administration (FAA) controls even the tiniest details of commercial aviation. From mandating how flight attendants demonstrate something as simple as fastening a seatbelt, to allowing passengers to keep their smartphones in airplane mode rather than completing powered-down during take-offs and landings, these regulations are all set by the federal government. Additionally, recent efforts to create the “Uber” of air travel were stymied by the FAA, which claimed there was an occupational licensing conflict with the proposed business model, stopping the venture before it could get off the ground. Like all great innovative ideas, Virgin America was born out of Richard Branson’s dissatisfaction with the basic commercial flying experience. Wanting to give passengers a chic flight experience at a reasonable price, Virgin America stood out even among its more established competitors. Upon boarding the plane, passengers enter a darkly-lit interior with neon pink lights guiding the path towards the end of the plane, an environment more reminiscent of a nightclub than a commercial airliner. The flight attendants are dressed in hipster attire and each passenger is offered free alcoholic beverages and in-flight entertainment. With this superior level of service, it is no surprise that Virgin America quickly became popular among consumers looking for a different inflight experience. But when Branson took the company public in 2014, things became problematic. While it is is unclear how the airline will change after the full acquisition of the company is completed in 2019, without Branson’s vision it is likely that the qualities that make Virgin America so desirable will cease to continue. True, there is nothing particularly glamorous about modern commercial air travel. 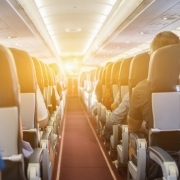 However, next time you find yourself on a plane, stuck in the middle seat next to a screaming child and an elderly gentleman who has fallen asleep on your shoulder, remember that things could be worse, and take comfort in knowing that at least a quick trip to use the airplane lavatory will—most likely—not cost you your life. Smart Entrepreneurs Are Using Digital Technologies To Change Customer Behavior In The Physical World. By pairing software and hardware in inventive new ways, visionary companies can disrupt even the most disjointed or stagnant industry. A stocked pantry is a thing of beauty, but relatively few people get giddy about the prospect of a grocery store run. That’s why Cincinnati-based Kroger has been testing a new service that allows shoppers to order groceries online and have them delivered straight to their door (courtesy of Uber drivers). This service seamlessly blends the physical world with the digital realm. Yet, in celebrating such new capabilities in technology, people have to be careful not to lose touch with reality. They shouldn’t try to disrupt a market entirely through a new app. We don’t, after all, live in a purely digital world; this isn’t The Matrix. And, the last time I checked, Keanu Reeves wasn’t our anointed savior. The question I’m posing here is, if new technology isn’t supported by physical infrastructure, what’s the point? Digitally redirecting a UPS package does nothing if there aren’t workers on the ground who can update the address label on the box. Entrepreneurs who overlook the physical world will never change it. Furthermore, they must be able to identify when markets are primed for disruption if they want to be the ones driving major innovation. 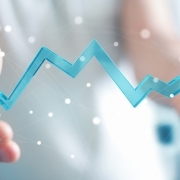 Generally speaking, there are two conditions that indicate a market space is ready for a new behavior to replace tried-and-true methods: maturation and fragmentation. A mature market has a relatively stable structure in terms of the size of firms, the number of startups and the composition of businesses. In these markets, incumbents and customers alike tend to consider it fairly obvious how to run businesses. If people utter phrases like, “This is how it’s always been done,” that’s a good indicator that that market is mature. Innovation becomes an afterthought, and companies tend to all move in the same direction. Which brings us to fragmentation. Mature markets are stagnant, while fragmented markets have numerous solutions, but no obvious leader. A fragmented market lacks streamlining and standardization, so disruption entails an introduction of something new, rather than the end of an era. In that scenario, disruption serves as a unifier — innovation that bridges, adds to or partially replaces solutions. This is a common occurrence in technology, where a newly adopted standard can have a ripple effect. Returning to the smartphone example, that marketplace was already fairly fragmented a decade ago. After Apple changed the game by introducing the iPhone, other companies followed suit with similar devices. The lesson? Once you’ve pinpointed a market that’s ready for disruption, it’s time to figure out how to use a combination of hardware and software to stir things up. 1. Let software set hardware free. Hardware is developed to set specifications because it’s immensely difficult to create something open-ended in terms of functionality. This is where software proves its worth. Software can combine several pieces of single-purpose hardware and distribute the benefit to numerous users. This was obvious with the mainframe computers of the 1950s, and beyond. IBM made a number of key changes to its computers in the 1950s, transitioning from the electromechanical switches of the 1940s to eventually replace vacuum tubes with transistors. Every step forward increased the number of calculations per second that these computers could handle, and each development fueled exponential new uses. Computers then progressed from government and research work to business functions, such as tracking inventory and billing. Eventually, they achieved widespread use with the first computer-disk storage system. Each piece of hardware wasn’t necessarily unique, but software opened the door for different hardware combinations that pushed things forward. 2. Create hardware that facilitates software. Software is worthless without hardware, but some hardware can stand on its own, mechanically. That said, hardware can accomplish a much more diverse set of tasks when it’s combined with software. When creative thinkers build new hardware, it doesn’t take long before new innovations in software and new solutions are generated throughout society. In many cases, real-world hardware ends up limiting software capabilities. A smartphone app that allows people to shop for groceries doesn’t completely eliminate the necessity of grocery shopping, as the food still needs to make its way from the store to your fridge. Kroger’s delivery service certainly simplifies this process, but it also still hinges on the existence of Uber drivers. As new products and services rise to prominence in the physical world, developers are inspired to create new software. 3. Use hardware and software as catalysts for each other. 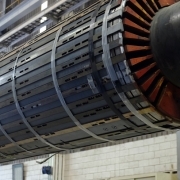 Ideally, hardware and software work in tandem to improve production and create value. Instead of attempting to fit hardware and software together, let the development of one facilitate further development of the other. If hardware and software are allowed to develop without restrictions, one will soon innovate until it reaches the limits of the other, creating fertile ground for further innovation on the other end. This teeter-totter of progress produces incredible growth. While Marc Andreessen’s famous quip that “software is eating the world” is accurate, I’d argue that adding a software layer to existing physical processes can reduce costs. The true power of software, however, lies in facilitating new processes. Consider, for example, the case of the restaurant reservation app OpenTable. It’s possible that the digitization of table reservations could cause restaurants to use software to track internal resource allocation. Restaurants already know it takes a group of four people about an hour to order and finish a meal, but newer data from sophisticated software could show, for instance, that it takes about 20 minutes to prepare an order of ribs and about 18 minutes for a diner to eat them. It could also track how often customers order this signature dish in the average week. This level of data could open greater automation in the restaurant industry and allow owners to avoid costly food waste. It could also standardize — and thus limit — variations in quality, making for a better dining experience. Suddenly, a simple app could open the floodgates for restaurant — and perhaps supplier — efficiency. The scales would then tip to the other side, with production changes influencing the direction of the software. This cycle could continue in perpetuity, with a rising tide lifting both ships. An inventive combination of software and hardware could improve everything from grocery shopping to restaurant operations. Software might be essential to these market changes, but it’s ultimately the real-world consequences that will draw consumer attention. By pairing software and hardware in inventive new ways, companies with insight will disrupt even the most disjointed or stagnant industries. In 1943, in a stunning example of poetic and legal justice, the United States Supreme Court vacated all of Guglielmo Marconi‘s patents for radio and awarded them to Nikola Tesla, who had died six months earlier. However, its important to note that there is no one individual who is entitled to sole credit for the development of radio. While Tesla had invented the idea in 1892, there are others who deserve mention for laying the groundwork. German physicist Heinrich Hertz had demonstrated Ultra High Frequency (UHF) wireless transmission following mathematician James Maxwell’s proof of radio waves. Also essential was French physicist Edouard Branly‘s invention of the radio wave detector. However Tesla, with his photographic memory and ability to do integral calculus in his head, was able to transform pure science into practical applications for the benefit of mankind. That’s what entrepreneurs do. All that was great in the past was ridiculed, condemned, combated, suppressed — only to emerge all the more powerfully, all the more triumphantly from the struggle. Let the future tell the truth, and evaluate each one according to his work and accomplishments. The present is theirs; the future, for which I really worked, is mine. In 1898, Tesla built a radio-controlled robotic boat, and from a set of controls in Madison Square Garden, he drove his boat remotely around the waters of Manhattan. The first aquatic drone. By this time, Tesla had become a veteran of public demonstrations and the practical uses for his high tech inventions. Five years earlier, at The World’s Columbian Exposition, Tesla had demonstrated the effects of both his high voltage, high frequency alternating current, as well as his wireless gas discharge lamps for every day use. This was a major breakthrough for widespread acceptance by the American public for alternating current as a safe, efficient, and reliable solution. The significance of this cannot be overstated. The Exposition was the culmination of a period of intense competition and cut-throat propagandizing. It became known as the War of the Currents. Between the late 1880s and early 1890s, the alternating current (AC) Tesla Polyphase System being developed by Westinghouse Electric was in direct opposition to the direct current (DC) systems of Edison Electric Light Company. Ironically, Tesla had been in Edison’s employ in Paris starting in 1882, and then in New York City in 1884. But Tesla resigned after only six months, and the split was contentious. Tesla was convinced that his AC motor was the future of high voltage, long-distance electricity distribution, not Edison’s DC. By resigning from Edison Machine Works to start Tesla Light and Manufacturing, Nikola Tesla was telling the world that his was a life of purpose, that he could see the future, and that he had immense confidence in his ability to realize his vision. His judgment about what the future could be was all that mattered. In my youth, I was fascinated by a description of Niagara Falls, and pictured in my imagination a big wheel run by the Falls. I told my uncle that I would go to America and carry out this scheme. Thirty years later I saw my ideas carried out at Niagara and marveled at the unfathomable mystery of the mind. It is from Europe that Tesla brought his affinity for demonstrations of electrical effects. His sense of wonder for the possibilities of electric power for human needs was inspired by his high school physics professor in Croatia. But as soon as he left Higher Real Gymnasium he contracted cholera and was bedridden for nine months. Tesla gives credit for his recovery to reading Mark Twain’s fiction. As poetic justice would have it, 25 years later Twain and Tesla became good friends, and they were both showmen. In fact, Twain’s 1889 early sci-fi classic, A Connecticut Yankee in King Arthur’s Court, ostensibly includes the Tesla inspired lead character, Hank Morgan. Morgan’s mission was to modernize, Americanize, and improve the lives of medieval people suffering under the repression of mysticism and anarchy. Twain transported Tesla’s vision to the past, which begs the question, what could have been? Ironically, Tesla became a naturalized American citizen two years later, the same year that he patented the Tesla Coil, the transformer design that was critical to delivering alternating current to all of America, and the world. And Tesla’s ideas were not limited to visible light and the distribution of electricity. There is evidence he had experimented with X-Ray imaging before Roentgen, but perhaps his most prescient vision has to do with falling water. As a result of Tesla’s consulting work for the Niagara Cataract Construction Company, and his demonstrations at the Columbian Exposition, Westinghouse Electric was awarded the contract for the two phase AC generating system at Niagara Falls, realizing his boyhood vision. Nikola Tesla was a tireless worker; and to him, working was mostly thinking and was most rewarding. For every new idea for an invention, he invested only mental energy until every conceivable conflict was solved. Only then, would he apply money and material to bring the invention to reality. According to Tesla, that was the big difference between him and Edison. And the object of his research was simple – the secrets of the universe. He believed they could all be found in energy, frequency, and vibration. Besides harnessing his own human nature, Tesla harnessed nature, and transformed it. How perfectly human. His ideas transformed the kinetic energy of falling water, the thermal energy of steam, and the energy of magnetic fields into electricity and light. Besides air, earth and water, nothing is more plentiful and cheap. In fact, this blogpost is nothing but electrons and protons transformed into photons so that your neurons can perceive and comprehend it. Nikola Tesla’s contribution to the patient pursuit of peaceful human progress is incalculable. For his application of reason to reality, his singular purpose to marry science to practical uses, and his confidence in his ability to do it, Nikola Tesla is revered as one of the Poetic Justice Warriors of Western Civilization, and deserving of our gratitude. Every time there is a national dialogue surrounding health care, the conversation seems to focus only on what the government can do to lower costs and expand insurance coverage. And yet, while the discussion has been ongoing for decades, nothing has ever been dramatically improved by this approach. In fact, things are arguably far worse than they were to begin with. So maybe instead of continuing to think inside the box, it’s time to completely change the conversation we are having. Rather than looking to Washington to craft policy or mandate insurance coverage, we need to completely rethink the way we view health care. If we really want to foster an environment where innovation can occur, we ought to look to tech innovation, rather than bureaucrats. And this is exactly what has been happening elsewhere around the world. In India, where health care innovation is progressing dramatically, telemedicine is a thriving market. In fact, it has been growing at a rate of 20 percent annually and is expected to be worth $32 million by 2020. Part of the reason the concept has taken off in India is due to the fact that there are so many people are living in rural areas without convenient access to a doctor or hospital. And with so many people in demand, the market for accessible was born out of need. 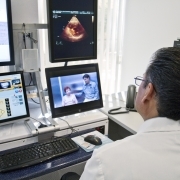 Digital health care allows doctors to connect with their patients remotely, which in turn expands access to health care. And since digital visits also come with a lower price tag than traditional visits, this method of care is available to almost everyone. The concept of telemedicine has yet to really take off in America, and there is almost no logical reason for this. According to the Pew Research Center’s 2017 data, 77 percent, or three-fourths of Americans own smartphones. And with these small devices, Americans essentially hold the entire world in the palm of their hand. Modern technology has given us instantaneous access to almost anything and anyone. It is almost astounding, then that we have not taken a digital approach to health care. Telemedicine is not necessarily a new concept. In fac,t the term was coined during the rise of the telephone, though today’s concept is drastically different. To be sure, telemedicine is not the same thing as typing your symptoms into a WebMD search. Telemedicine utilizes smartphone apps and video communications to bring medical care to those without convenient or regular access. When an 80-year-old rancher in rural Alaska begin to feel his lungs fill with fluid, he feared the worst. Years of dealing with a heart condition had taught him to pay close attention to problematic warning signs that trouble was coming, but visiting the emergency room was easier said than done. The nearest hospital was over an hour away and without fully understanding what was happening to him, he was uncomfortable getting behind the wheel. Of course, this meant he would have no other option left other than calling an ambulance. Anyone who has ever been stuck with an ambulance bill knows all too well just how expensive it can be. In one instance, a man was shocked to learn that his two-mile ambulance ride came with a price tag of $2,700. Another patient was left with a bill for $3,600 for a four-mile ride. Understanding these costs, the rancher was reluctant to call 911 and have pay for an hour-long ambulance ride without getting a medical opinion first. Luckily, telemedicine came to the rescue. The rancher picked up his smartphone and initiated a video call with his doctor. And after the doctor had assessed the situation and analyzed the vitals via a smartphone app, the rancher was relieved to learn that no emergency room visit was needed. Instead, the doctor prescribed new medication and improved within a few days. But country dwellers aren’t the only people who can benefit from telemedicine. Seniors with difficulties moving around would benefit from the ability to communicate with their physicians without having to leave their homes. Additionally, this form of “office” visit would reduce the costs of care for everyone. This would also benefit younger adults who are less likely to have health insurance and who are also less likely to routinely visit the doctor. The Obama Administration spent a great deal of time and money trying to convince millennials to sign up for Obamacare. But no matter how hip their targeted ads may have been, many young people were more willing to pay the fine instead of purchasing health insurance. While headlines touted that young people simply couldn’t afford health care, they neglected to mention that many of us just didn’t want it. And while young people are less likely to have insurance coverage and less likely to schedule routine checkups than older generations, they are more likely to make use of telemedicine. Millennials have come of age in an era where everything we want is available on demand with merely a tap of a screen. This has led to an impatience when it comes to waiting on the government to innovate. Previous attempts to make telemedicine mainstream have focused on older clientele, but the fact remains that millennials are five times more likely to use new technology than their older counterparts. And when it comes to digital health care, 60 percent of millennials are already using it. Millennials have been dubbed the most stressed and anxious generation, and this appears to be true. Not only do young people have multiple side hustles, they also are engaged in many passion projects, making it hard to go out of your way to visit a doctor. But making doctors available through smartphones has been a game changer. In fact, the area where this has grown the most is in mental health. Thanks to digital therapists, many millennials have been able to bypass pricey mental health office visits with affordable options. And since telemedicine is so much cheaper, there is actually no need to purchase a traditional insurance policy. Without insurance, an in-person visit to the doctor can cost up to $160 whereas telemedicine runs a cost of about $40- $50 per visit. Of course, this has actually resulted in Millennials using the service like Uber, scheduling visits every time there is a small concern. And while telemedicine skeptics have used this phenomenon to discredit it, the bottom line should be about consumer choice, not costs per visit, which is yet another reason why insurance should be left out of this. When your choice is dictated by coverage, but since many millennials are choosing to pay out of pocket for the use of telemedicine, then it is no matter how often they are choosing to use it. Even so, millennials willingness to adopt this technology might be the key to broader adoption. Why Hasn’t This Caught On? It is shocking that this concept has not caught on quicker, given its cost benefits and quality of services. But there are certain elements holding it back. For starters, regulatory burdens have caused many states to step in and require additional licenses before physicians can engage in telemedicine. In certain states, Georgia for example, digital eye exams are prohibited. Additionally, since many insurance companies do not offer coverage for digital visits, many people simply don’t know it is even an option. And since many people steer clear of care that isn’t covered, it has had a hard time catching on. At this point there is almost no reason for this technology to be more widespread throughout the country. While many advocates of telemedicine envision a future where insurance companies provide coverage, maybe it’s time to start thinking of a time when insurance is not the end all be all for health care. Health insurance is such a mess, no one knows the cost of care anymore. I can’t ask my doctor how much it would cost to set a broken bone because it is completely reliant on my coverage. When care is covered by insurance, it ceases to respond to actual market demand. Currently, the cost of telemedicine is lower than a doctor’s visit without insurance and not much more than a typical copay with insurance. Allowing it to be included in coverage could very well result in increased prices. Instead of trying to fix our broken system it’s time to practice some creative destruction and abandon the old ways in favor of new tech-centered approaches to health care.